Implants 30,000/- to 45,000/- 7-10days. Complete Dentures 18,000/- to 45,000/- 3- 5 days. Partial Dentures 2000/- to 28,000/- 5-7 days. Upto 15 Years Warranty 10,000/- to16000/- 3-5 days. PFM Crowns 4500/- to 6500/- 3-5 days. Metal Crowns 3500/- to 4800/- 2-3 days. Laminate Veneers 10000/- to 15000/- 5-7 days. Composite Veneers 2000/- to 3000/- 1-2 days. Crown Lengthing 2500/- to 3500/- 1 day. Single sitting 3700/-to 5000/- 1day. Post and core 2000/-to 2500/- 1 day. 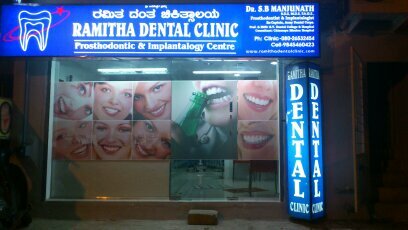 Composite(tooth coloured) filling1000/- to 2500/- 1 day. Scaling and polishing 800/- to 2500/- 1 day. Flap surgaries 20,000/- to 28,000/- 4-7 days. Bleeching of teeth 8000/- to 10,000/- 1-2 days. Simple extraction 500/- to 1800/- 1 day. Impaction 4500/- to 5500/- 1 day. Orthodontics 22,000/- to 1,75,000/- 1 year. We offer free consultations and 10% discount on all treatment charges for serving and ex-army people.